Alex Carlton moved to LA in his late teens, working in the entertainment industry, taking a shot at writing, working for TV commercial directors, behind and in front of the camera. Yet, when Alex came back to the UK it was smoothies that would kickstart his high-flying career, and coincidentally, paved the way for his non-alcoholic brand Stryyk. “I always loved the idea of a brand and building a brand. Never had any experience of doing it. But realised the power and potential,” Alex says, who founded Funkin in spring 1999, a company which started out producing and distributing fresh smoothies in London. “Innocent had just started, and PJ’s Smoothies, back in 99’,” Alex says. Keeping up with the turn of the tide, the business soon moved into fresh juices, “and very quickly after making the juices, moved into purées. 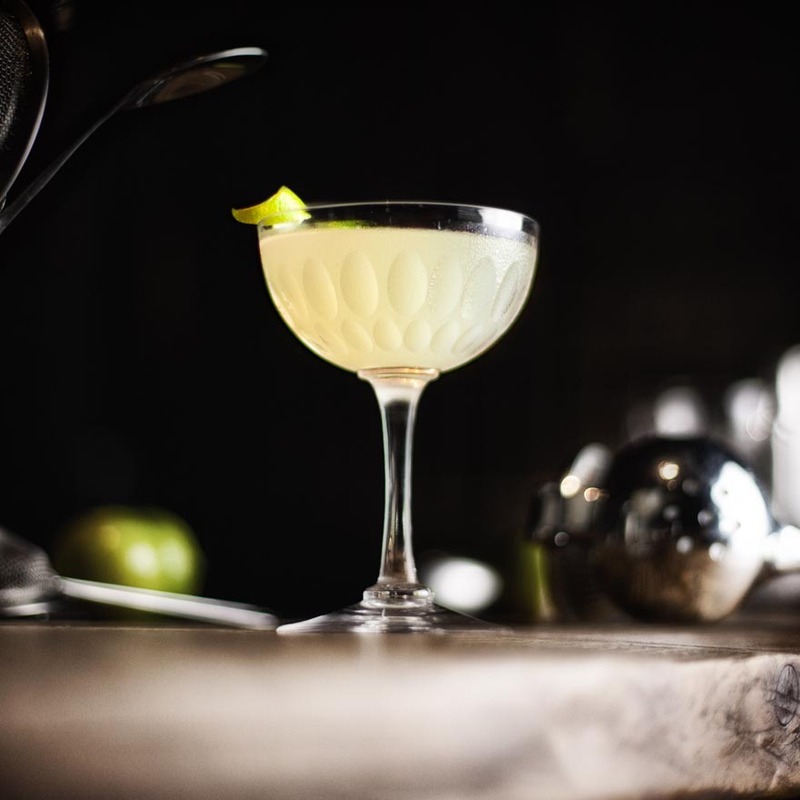 The purées were what mixologists at the time were looking for to flavour the cocktails… I suppose the rest is sort of history.” Funkin is still renowned for their fruit purées used in cocktail making. Yet, building a business requires endurance, as Alex says, “it was hard graft,” which unquestionably paid off after his company sold in February 2015. He then took a few years out helping start-ups in the food and drink industry but found nothing quite satisfied him. Considering his love of brand building, it was perhaps inevitable that he’d be back with a new brand of his own. 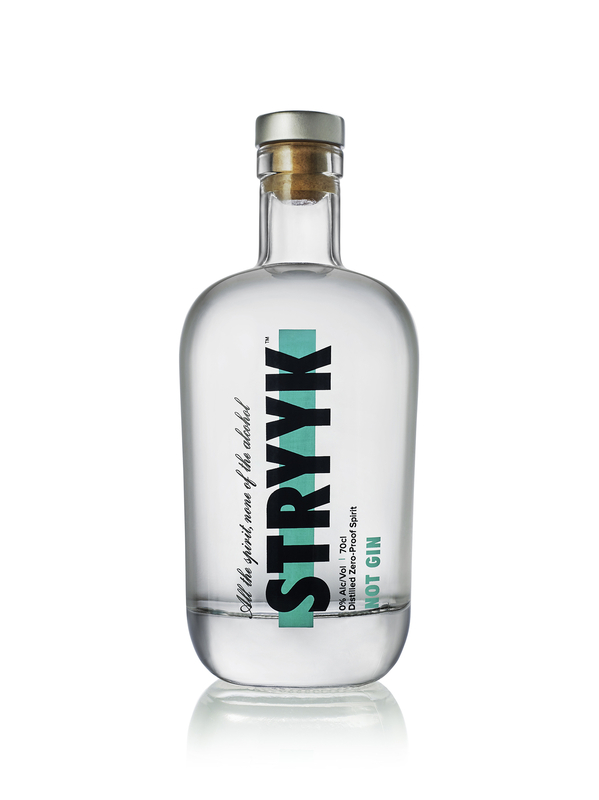 The development of Stryyk, Alex’s non-alcoholic alternative to spirits, began around April 2017. 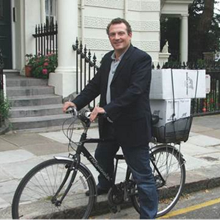 “I love building brands, working with people, I love the hospitality industry,” Alex explains. “I wanted to get back into the industry, I understand the mechanics of the industry, I know how it works. I know how to build and launch a brand. 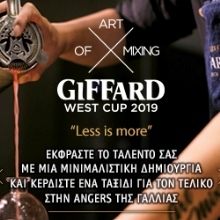 Whether I have a successful thing, time will tell.” So, it wasn’t only Alex’s familiarity with the drinks industry which supported this endeavour, but his passion for innovation as well. Stryyk, and its unique tag line of “all the spirit, none of the alcohol”, comes at a time when the drinks industry is seeing a huge rise in the non-alcoholic category, with the likes of Seedlip, and the recently launched Ceder’s, meeting the demand for non-alcoholic substitutes - yet there's still this space in the market to allow for more non-alc / low-alc brands that'll offer consumers choice. The Stryyk range with Not Rum, Not Gin, and soon to be launched this Autumn, Not Vodka are all suitably labelled - they're non-alcoholic drinks designed to mimic spirits. 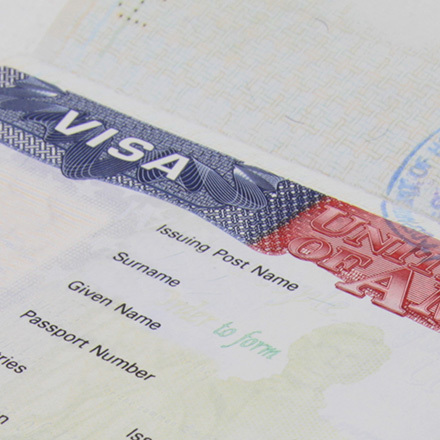 Immediately, you’re drawn into the eye-catching, clean branding. The rounded but stocky bottle is sealed with a cork stopper. And with an RRP of £14.50, this quality product is reasonably priced compared to others. The botanical, natural flavourings inside Not Gin include juniper, rosemary, basil and dill, while Not Rum is flavoured with oakwood, clove and grapefruit. And Alex recommended both as a non-artificial alternative to the sugary soft drinks for those wanting to avoid alcohol. “We’re moving into this era now where people are taking more care of what they’re putting into their bodies, how many alcoholic units,” Alex says on why the non-alcoholic category is so prevalent. 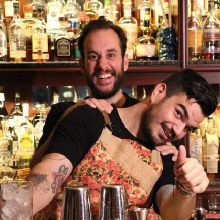 He added, having a Stryyk cocktail in the evening with friends allows you to sip and enjoy a long drink, just as if you were drinking an alcoholic drink, and allows you to be part of the group/crowd and not stand out for having chosen to not drink. If you’d like a cocktail with all of the spirit and none of the alcohol, opt to Stryyk yours - that's Alex's proposal. Just as the V denotes vegetarian meals on a menu, Alex aims to have "S" on the menu, to denote the cocktails you’ll be able to have as a non-alcoholic blend. 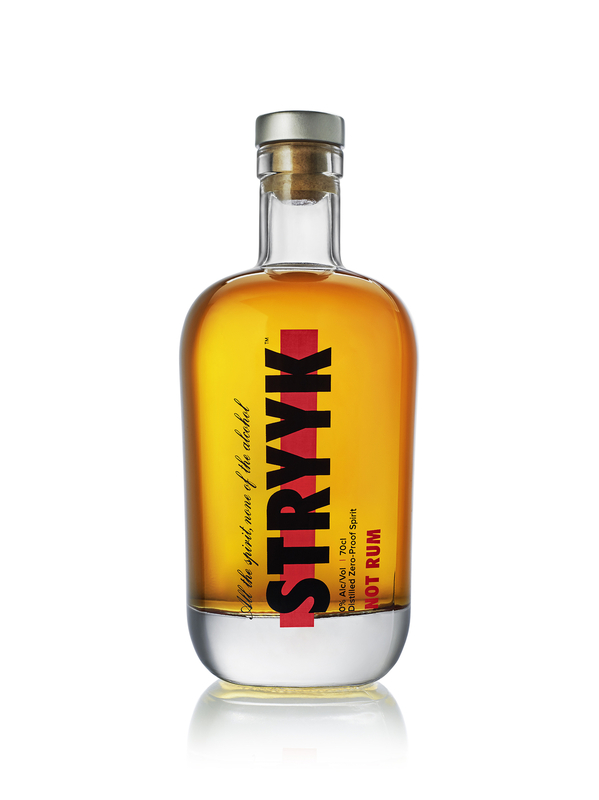 “Part of the strategy behind the brand name was to get Stryyk in the vernacular where people are talking about stryyking their cocktail,” he says. 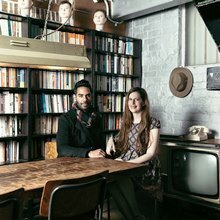 Although in its early days, the brand has established listings in a number of London venues, including Nine Lives, Bounce, Caravan Group and Notes Coffee. Alex hopes to hit the American market as well. 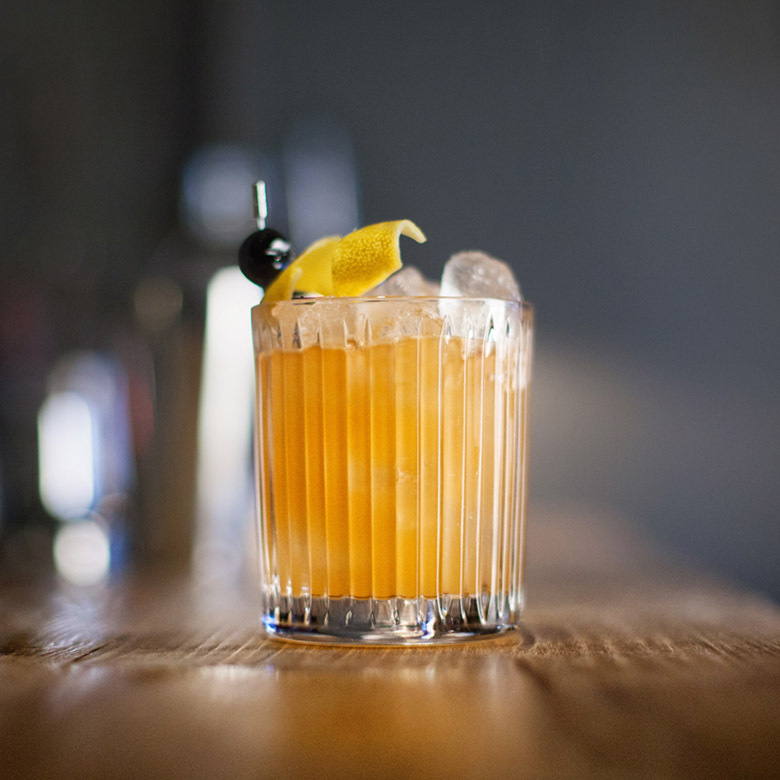 Difford’s Guide met with Alex at Caravan Fitzrovia for a tasting of the Stryyk range. And it was the adaptability of the drink that struck us first – the range can be used as a cocktail base, on-the-rocks, or served with a mixer such as tonic. We like the concept of using one part rum and one part Not Rum in a rum & coke to make the drink less alcoholic than a double rum while retaining flavour. Method: Build ingredients in a tumbler filled with ice, stir, then strain into glass. Also, can be served hot throughout Autumn and Winter, Guy Fawkes and Halloween, as a seasonal beverage. Created by Josh, at Caravan Fitzrovia, London.